Send an over-the-top gift that they will love receiving! 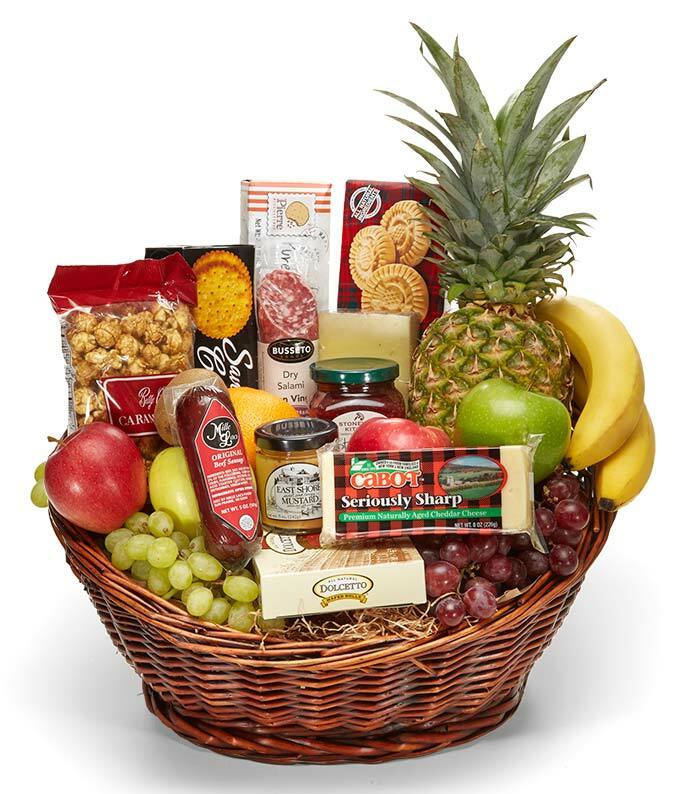 The Abundant Gourmet and Fruit Basket is packed to the brim with gourmet goodies and fresh fruits. This gift basket makes a great congratulations gift, thank you gift, birthday gift and a great gift year round. Make a special someone smile ear to ear today! Please note: contents may vary. Please note, the gourmet and fruit item assortment may vary.